My festive spirit seems to be dampened a bit by the onslaught of cold / flu. I think it's all because of this Fog/ Smog happening here. I so wish the sun would rise and shine. A little background story before reviewing the Serum. My hair have been poker straight and shiny since time immemorial. Also I have really oily roots, so much so that I wash my hair every alternate day. Only recently, I have started noticing my hair ends becoming frizzy. Conditioners are not helping either as they make my hair greasy within a day. So, I was thinking of trying out a hair serum but was skeptical about leaving chemicals on my hair. Then while browsing online, I spotted this hair serum and bought it on impulse. Price: INR 495 for 78 ml of product (I got this at a discounted price of INR 420.75). 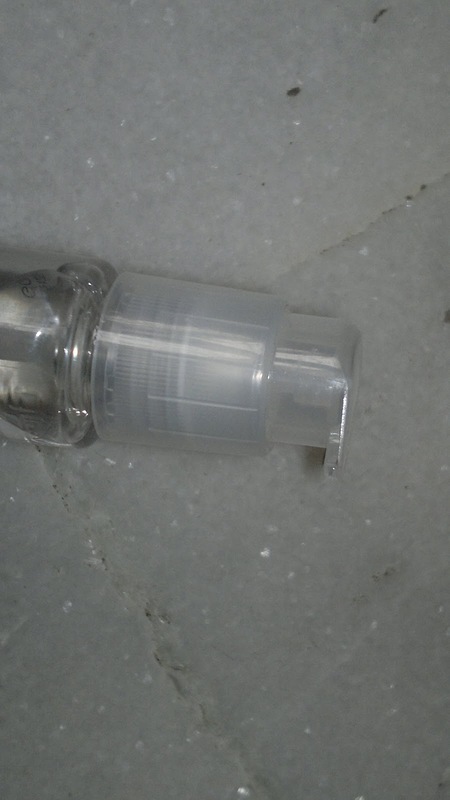 Packaging is very sleek and classy with the product contained in a transparent light weight plastic bottle with a nozzle on top for dispensing product. 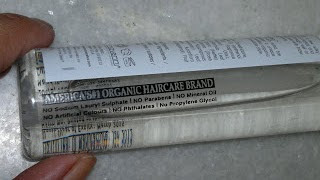 The first thing I noticed upon receiving the product that it is an organic hair care brand. So, I was a little assured about putting this in my hair 24/7. Secondly the serum is a clear liquid which is a little bit sticky. for my medium length hair, I am using one pump. This amount is enough to cover my entire hair. 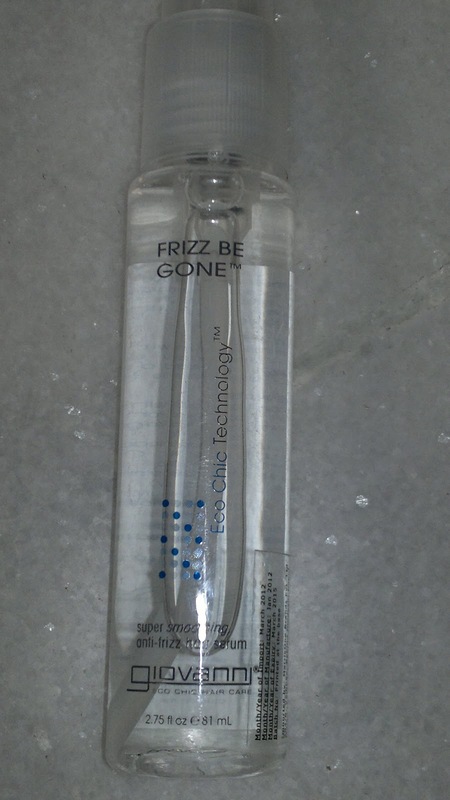 I use this after every hair wash and my hair are so much easier to comb through. 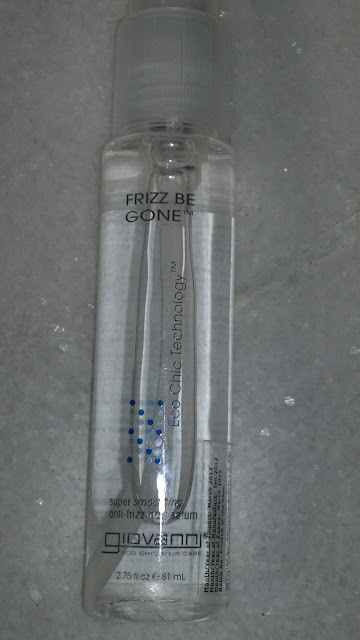 not only that there is less tangling, breakage, and more shine in my hair. 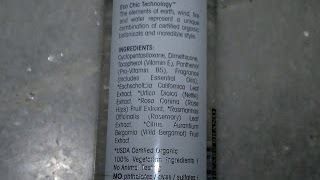 The serum doesn't frizz my hair/ make it oily. My hair wash routine is same as before yet my hair are more manageable and shiny than ever before. Even the next day, hair feel so good to touch and look as fresh as the day of wash. This one doesn't make my har feel heavy or weigh them down, which is excellent for me as I have very fine hair. Product rating: A, available via online websites, haven't seen it in markets / department stores. Would recommend this to everyone looking for a good serum, especially to women with oily scalp. Hey Kumkum, I'm a new follower of ur blog. Nice review. I have used the Giovanni Vitapro leave in treatment and have just bought the conditioner too. Really like both products and love the fact that they're organic.